As you know, the game, Fight Night Round 4, was released a while ago. A new addition to the Fight Night series, and a welcome one! EA has been boasting about many new features, such as the improved phsyics, the added styles, and the new countering. The change between Fight Night Round 3 and Fight Night Round 4 is quite big, though. When I first picked this up, it took a sec for me to adjust. But when I landed my first counter, I knew I’d like this game! Some things are noticeably different, one being definitely the physics and the weaving. Like how you can land a perfect dodge, where the guys hook slips right behind your head, and you catch him with a beautiful uppercut. Some feel that the knockouts are not as epic as Fight Night Round 3. I feel it is, especially how sometimes the guy bounces off of the ropes after a knockout. Speaking of bouncing off of the rope, if you’re cornered against the rope, you can actually use it to your advantage for avoiding head punches. Or the guy who has you on the ropes can punish you and catch you with a bunch of body shots. The commentary can get a bit…. repetitive, with how the guy calls every match the best match he’s ever seen, but it’s hardly noticeable if you’re really into the game. I’d recommend playing the game without it’s hud, because it just makes it that much more epic. You can tell, already, when you’re tired from your heavy breathing, slow punches, and your sweat. You can tell how hurt you are by your facial reactions. Taking off the HUD and playing in HD is a true experience. 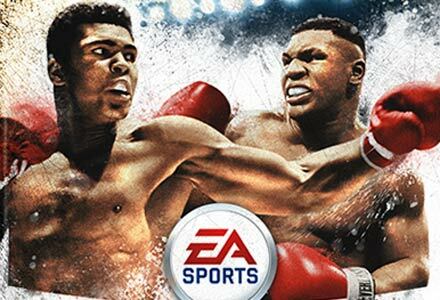 The online play is smooth, but a lot of people like to use Ali or Tyson, heh. Those monsters. The legacy mode is also different, when you start out you’re in a rookie tornament to get your license to box or something. After that, you get to do training sessions which are a bit different than what you’re used to, if you’re coming from Fight Night Round 3. I personally struggle to get good results with the left and right hand power training, but that’s just me. This has become more of a boxing simulation than ever before, but even though, it’s very enjoyable. If you are looking for a new boxing game, fighting game, or if you want a game to get into, you should really get this game!